Anyway, I hope you enjoy and please leave feedback! Video coming soon on my YouTube Channel - Echogamer! (Picture 1, left to right, up to down) : Is this room (coordonate at (12,5)) intended to be completely empty ? It doesn't even fit the lab-theme, so it really seemed out of place. (Pic 2, 3 and 4) : There is a problem with the script used to destroy the gravity line above. Everything plays fine when reaching this room the first time, however once flag 19 is on, triggering it again will cause the black cutscene bars to stay on the screen, pretty annoying glitch as you need to quit the level and load it back. While I can't explain in detail how this works, I've shown a way to fix it using a "load script" with the following 3 and 4 pictures. Former one shows the main script "linedestroy", latter one about "simple", which you'll recognise. 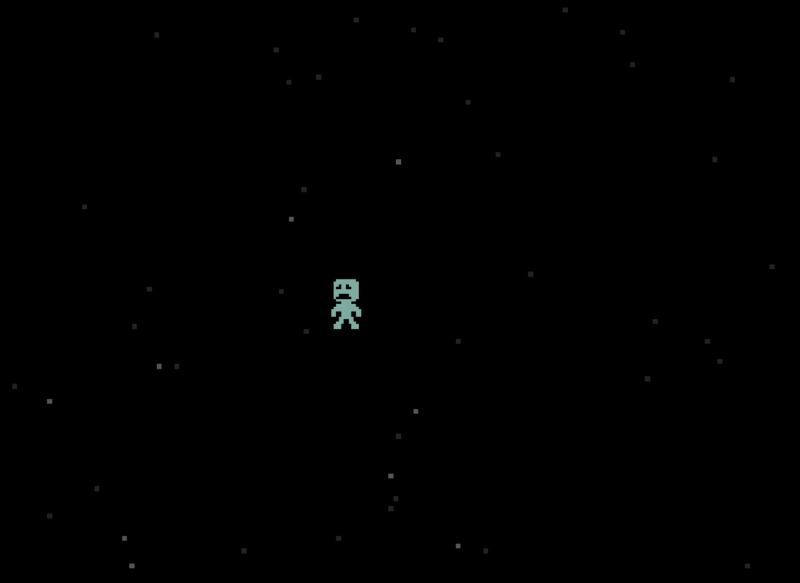 (Pic 5, 6 and 7) : You made it so it is possible to backtrack after taking the trinket, but not when leaving the room, as there is only one disappearing platform, forcing a intentionnal death to the player either way. Here's a potential fix shown in both picture 6 and 7, where in the former I moved the red ones one tile up, and the latter I added one platform above the initial green one. There's another, arguably more pressing, issue with room (14,13). 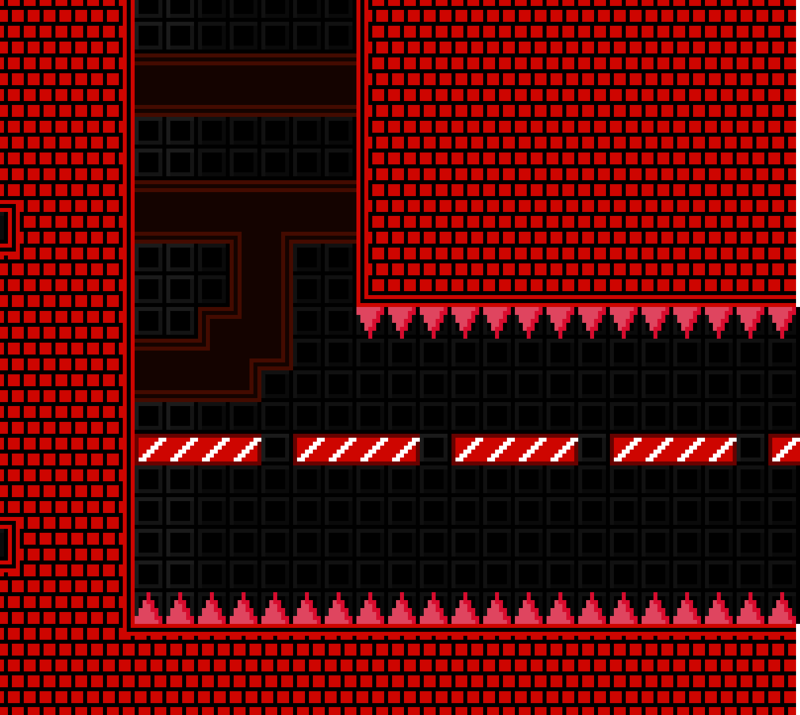 If the player is hugging the right wall when entering from below, the "that was a little simple..." dialogue appears as falls uncontrollably up into spikes. If the dialogue is still on the screen when dies and respawns, it crashes the game. edit: it doesn't help that if you're too far to the left, you have to leave the room to try again anyway. That aside, I'm liking this so far, even if there are a few places where a bit of Direct Mode could improve the look of things. Okay, I'll remove ten extra room at the factory part and fill in the empty lab room. Thank you for the feedback! 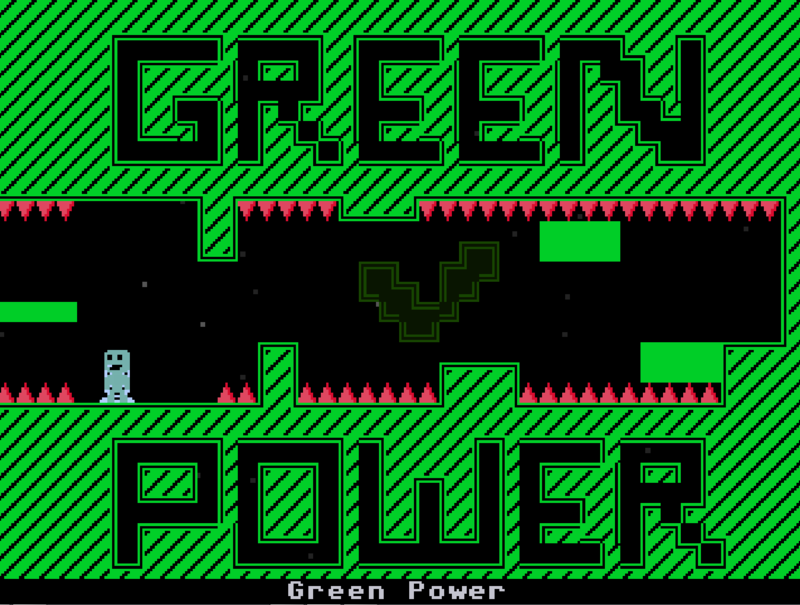 I'll also fix the green power room because you can get every trinket without dying. 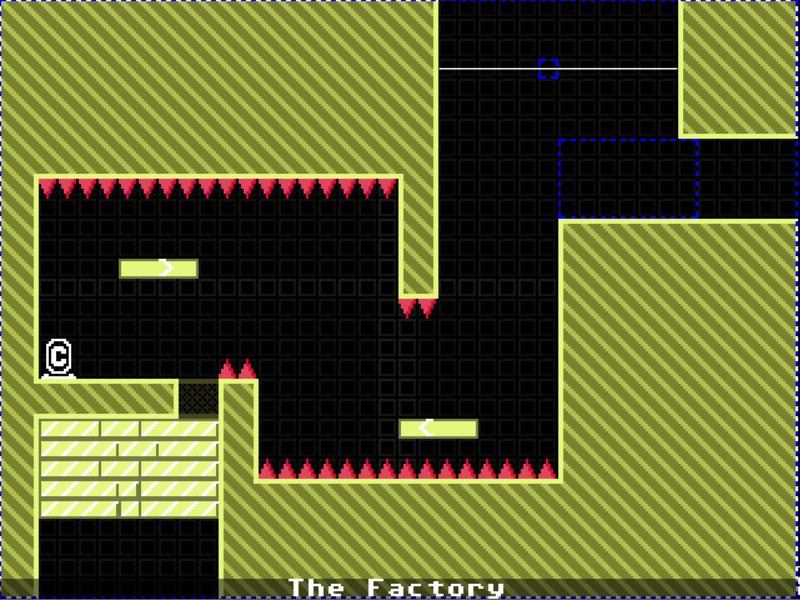 In the end of the factory, I am aware that the "that was easy" dialogue isn't working as planned. I will make an updated version of this and put the download link in as soon as I can. I had to delete it. Well, hell. Nice design and all, but wtf is up with the scripts? And why am I sad partly through the level? Well trinket God 08, I am not perfect at level making and I am improving. Btw what's up with the scripts? I think they're straight forward and tie along well with the level. Ahh. Okay. Well I was confused about some of the scripts, like Steve suddenly disappearing. Yeah I didn’t like the look of it either at first. I will fix it.